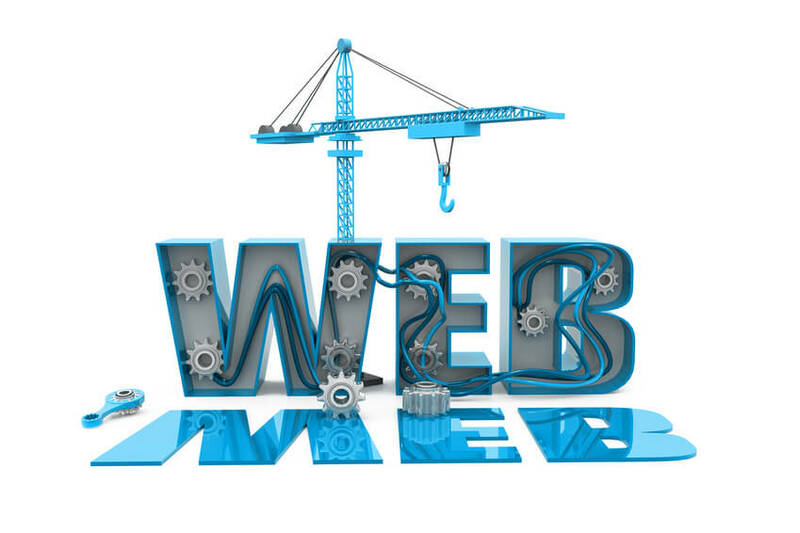 Are you planning a website for your new business? Good for you! Did you know that you don’t have to be technical-minded or web-savvy to get exactly what you want? This non-technical guide will walk you through the fundamental aspects of planning a website. Planning a website can be exciting and daunting at the same time. I love to work with customers starting from a blank page and help them create a site that’s tailored just for them. But there’s a lot of work to be done to get to a successful conclusion. But one thing I try to tell each new client ~ it’s best to begin with the end in mind. That means it’s important to invest enough time upfront so we both understand the client’s business and end goals. Answering the following key questions will help in your planning. When planning a website, having a realistic budget is essential. Right out of the gate you need to be clear on how much money you are willing to invest in your website project. If you hire a website designer to help you, be prepared to be asked “What is your budget?” It’s not that your website designer is being nosy, but there are many costs associated with planning a website. So the budget dictates how much you can realistically do. If you are planning to do-it-yourself, your budget needs to cover the costs of all of the components of successful website design. The following list covers most out-of-pocket expenses that you may incur when planning a website. Be aware that other expenses may crop up, especially in the areas of technical support or custom programming. Creative assets: What templates, images, branding, logos, or graphics do you have/need? Will you need to hire a designer to create these graphics? Will you need a photographer for product photos on your website? Will you need a videographer for YouTube or Vimeo tutorials? Will you need to purchase stock photography? Will you be using a CMS such as WordPress? If so, will you purchase a premium theme? Custom programming: Typically custom programming arises when a client realizes they need specific functionality that is not available for out-of-the-box WordPress themes or a website template. For example, a custom plugin may need to be created or a core file may need to be changed to address the needed functionality. Custom programming costs can add up quickly and these costs vary based on technologies used and complexity of the coding. Wire frame/website mock-up: This is your blueprint. What will the users actually see on screen? How will your site be navigated? How will people contact you? Will you draw this up or will you rely on your website designer to do so? Domain name registration: Where will you register your website domain name? For example, www.yourbusinessname.com. This is an annual fee. Website hosting: Who will host your website content? Your web host can be a different company than your domain registrar. This is an annual fee. E-commerce components: Will you sell from your site? If so, you’ll need to purchase an SSL certificate for secure online transactions. SSL is an annual fee. Will you have a turn-key online store? If so, you may want to purchase a turnkey e-commerce site from Big Commerce or Volusion, which also have subscription plans. SSL – If you collect sensitive information on your website, an SSL is mandatory. As of October 2017, Google has started flagging sites as non-secure if they collect sensitive information and do not have an SSL certificate installed. Google also ranks sites with SSL higher than non-SSL sites. Basic websites should be able to use a free Let’s Encrypt certificate that is provided by most web hosting companies. PayPal/Stripe: You need a way to collect customer deposits or pay sub-contractors. Make sure you have some mechanism for doing so before you launch your online business. PayPal or Stripe are excellent third-party choices. An added benefit is that you can route your customers to PayPal or Stripe to complete a secure transaction there thus eliminating the need for an SSL certificate on your website. Website content: Who will be responsible for your web page content? Will you have a blog? Who will write your blog content? Business blogging can be an integral part of your website, but it takes time and commitment. Will you need to hire a copywriter to create professional website copy? Who will do your keyword research and on-page SEO? Website backups: What backup solution do you need? Free or paid-for? Don’t rely on your web hosting company exclusively for backups. Most make a “best effort” attempt at backups but to be safe, you should also backup your site and download the backups to your computer. Website security: Do you want to purchase a website monitoring plan from a company such as Sucuri (affliate)? These plans monitor your site throughout the day and offer malware cleanup should you get hacked. If you plan to build a WordPress site, review our WordPress security guide for more recommendations and tips. Website performance: Most websites can benefit from a content delivery network (CDN) such as CloudFlare. Our site achieved a huge performance boost when we enabled CloudFlare. CloudFlare has partnered with many hosting companies and offers a basic free plan. However, depending on your website configuration, you may need to purchase a premium plan. This doesn’t need to be decided in the beginning phases of planning a website, but do keep it in mind if your website seems sluggish or slow-loading once it’s published. In an earlier post we identified questions that you need to answer when planning your website objective. Those questions include defining website features as well as monetization techniques in order to understand the website’s purpose. Your website objective will drive the website features and usability. For example, if you plan on selling products from your site, you will need an attractive presentation of available products and a simple way for visitors to find what they are looking for. They will need to be able to securely provide sensitive information such as credit card details. Or maybe you want to be able to build and/or update your own website. In that case I recommend a content management system (CMS) such as WordPress especially if blogging is one of your objectives. Make sure to do your research ahead of time to avoid common pitfalls associated with building a WordPress site. Surprisingly, many business owners are unclear about their marketing message. Simply put, your marketing message is your differentiator; it’s what sets you apart from others. It’s not your slogan or tag-line no matter how clever those might be. Your marketing message offers a benefit that others can’t, won’t or don’t offer. This message needs to be clearly stated and understood across all of your marketing channels. Therefore, in order to offer that unique benefit and solve a specific problem, you need to dive in deeper and figure out the following important details. A buyer persona is your target audience. By having a keen understanding of your buyer persona, you will be able to zero in on products or services that target that specific persona and what problem they need solved. Most companies have more than one buyer persona. It’s important to clearly identify each one. The problem your buyer persona needs solved is their pain point. Think about the areas in which your potential buyer struggles. By identifying knowledge gaps, you’ll be able to clearly see how to hone in and fine-tune your product or service offering. What is your solution to their problem? Once you’ve identified what that solution is, it should be simple for your customer to understand and use. This is especially true for businesses that offer services vs. products. A customer can see a product. You might have a brick-and-mortar store where they can visit and touch, smell, or taste your product. But when you offer services, the scope of what you will or will not do needs to be clearly defined in a manner that the customer fully understands. The proposal needs to spell it all out. Concepts need to be understood. For example, as a web designer, it’s important that I speak to clients clearly in non-technical terms so they are comfortable with the services they are purchasing. They need to understand project scope and what issues may add direct costs to the project. Sometimes it’s hard to boil it down when your business provides technical services. I was reminded of this last year when a proposal I sent was returned to me with the comment “What does this mean? It’s all Chinese jargon to me. Will I have YouTube video testimonials on my website?” I went back and looked at the proposal from her vantage point and realized how much I assumed she knew. And if she felt that way, I bet there were others who felt the same way. I was truly glad that she let me know. Back to the drawing board! She was 100% correct. I vowed from that point forward I would remove the geek speak from my proposals so that my clients would have a better understanding of what exactly they were buying. Once you’ve done a good job answering these questions, you will be able to create a marketing message that makes sense to your target audience. What are Your Website Features? What extra costs will these features incur? Clearly defined website objectives will drive the website’s features and additional expenses you may incur. For example, you may need to sign up with an email subscription service such as AWeber or Constant Contact. Some services such as MailChimp provide free subscription plans for up to 2,000 subscribers. But generally you’ll have to pay for commercial email subscription services. You can easily see which features will add expense to your website. A point of confusion for businesses planning a website is understanding what a blog is or how to start a blog. Many business owners wonder whether they even need one. A blog is simply a part of your website that contains important content and helpful articles targeted for your buyer persona. When done correctly, blogging can greatly impact organic search results thus driving more traffic to your website. The more value you can offer on your website through the high-quality content you create, the more Google will reward your efforts and send more traffic. As you receive more traffic, you’ll start getting feedback and comments on your blog posts. It’s rewarding and great fun to have dialog with people who have taken the time to not only read but comment on your posts. But I would caution you that if you do not have the time or commitment to properly run your blog, then it’s best to not start one. If you have decided that you will have a blog on your website, begin formulating your content marketing strategy. What content will be delivered in the form of static web pages? What content would make great articles for your blog? You can do keyword research to help determine what questions potential customers in your niche may be asking. Once you identify these keywords, incorporate them into your on-page SEO strategy. Create a content calendar and schedule out blog topics and types of content. This include infographics, reviews, tutorials, list posts, and more. How Will You Monitor Website Traffic? You’ll want to set up Google Analytics to monitor which content is performing best including your top landing pages, and search queries. Your analytics will help you fine-tune your content marketing strategy and revise where necessary. Just make sure you exclude your own visits from your Google Analytics or counts will be inflated. WordPress also has the Jetpack plugin available, which has a site stats module. It’s quite user-friendly and shows simple graphs and statistics on your visitors. Another simple to use popular WordPress plugin is Google Analytics Dashboard for WP. If you’ve worked with a web designer, now is the time to get everything in writing. A contract should be provided by your web designer that outlines cost outlays, scope of work, and project timelines. Make sure any work for hire agreements give you the ownership to all creative assets. Simply put, if you paid for it, make sure it’s clear that you own it. Sometimes web designers have commercial licenses that enable them to install WordPress themes, backup programs, or custom contact forms on your website. They generally won’t charge you for using a license. However, if you let that web designer go, you’ll eventually have to purchase your own license if you want continued support. Make sure it’s all spelled out in the contract so there are no surprises down the road. When budgeting, consider all out-of-pocket expenses including web hosting, e-commerce, creative assets, security, backups, and performance. 2. What is your website objective? Define features and usability as well as how you plan to monetize your website. Determine whether you want a content management system (CMS) such as WordPress. Remember that WordPress makes it super easy to set up your blog and maintain your own content. 3. What is your marketing message? Figure out your differentiator and define your unique selling proposition (USP). What sets you apart? Why should someone buy from you rather than your competition? Spend time in market research analyzing your buyer personas, their pain points, and your solution. 4. What are your website features? Understand what components will make up your website such as email sign ups, contact forms, and live chats. Figure out if your website will include a blog. 5. What content will you deliver? Start compiling a content marketing strategy. What content will be served in the form of website pages? What content would make great articles or blog posts? Do your keyword research and make sure each page is optimized for the search engines. 6. How will you monitor website traffic? Choose a way to keep tabs on your visitors and learn what content is best-received. Mix up your content type to include Slide Shares, infographics and how-to videos. I hope this guide has helped you to understand what you need to know when planning a website. Do you have any other tips or advice to add? I’d love you to share in the comments below! Michelle, excellent advice for getting started on a website design. Having been through the process several times, I’ve found two of the key points you mentioned: setting a budget and understanding the end point are critical components. The work done up front to research design themes that meet your goals and are within your budget go a long way to having a good end product. Also important, having a web designer you trust to mentor your decisions is a MUST! Super information. Thank you, Nancy, for reading and commenting on this post! I agree that successful website planning results in a team effort between web designer and client. It’s so helpful to have that collaboration and also the only way to ensure that the website is what the client wants and needs while adhering to best practices and use of appropriate technologies. Appreciate your feedback and your sharing of this post, my friend!